Prepare two pork chops however you like. I rubbed them with salt and pepper and sprinkled them with lemon juice, then fried them in olive oil. Meanwhile, I chopped approximately 1 Tbsp red onion and 1 Tbsp cilantro, a tomato, and an avocado and mixed them together in a bowl, a la pico de gallo with the addition of avocado. Add some lime juice and salt and pepper to finish it off. 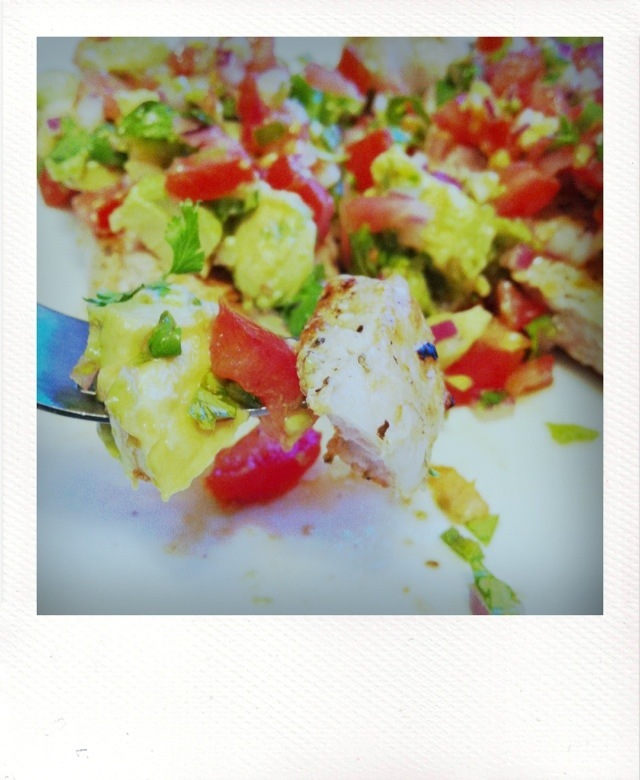 When the pork chops are done, spread the pico de gallo over the pork chops and enjoy!